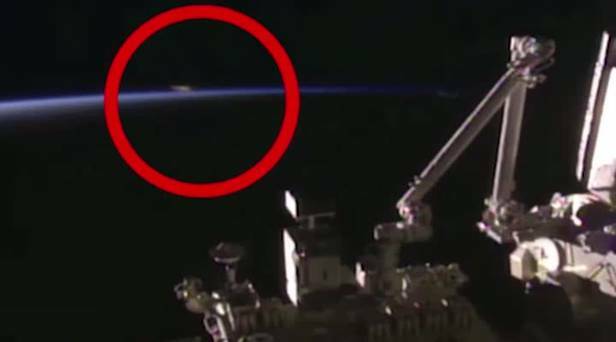 A self-styled alien hunter believes he has spotted a UFO during a live feed from the International Space Station. John Craddick, from Wolverhampton in the UK, claims he has never seen anything like it before. He told the Mirror: "I've been watching it [the live feed] for years but never seen any UFOs on it before. "I was showing a friend how it worked at around 11.30pm when the feed cut out, and 35 seconds after it came back on, this object appeared. "At first it was really small and then it grew bigger, lasting for about 25 seconds," he said. Mr Craddick claims that it must be alien because "nothing human can fly that high"